Those hungry for some new tunes from Jason Isbell just got a tasty, surprise treat in the form of two previously-unheard studio tracks that precede the reissue of one of Jason Isbell’s back catalog albums. Sirens Of The Ditch was Isbell’s first proper solo studio record, released in 2007 by New West Records after the Alabama songwriter had left the Drive-By Truckers. 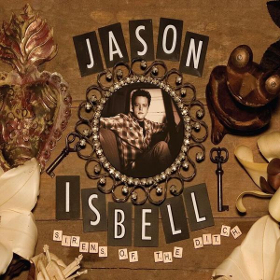 Though the album went mostly unheralded and overlooked at the time, it has since become a landmark of the Jason Isbell discography, and a favorite of many. Isbell co-produced the effort with Patterson Hood of the Drive-By Truckers, and it was cut in Isbell’s hometown of Muscle Shoals, Alabama at the famous FAME studios, with numerous notable musicians stopping by to lend their efforts. It was issued only three months after news of Isbell’s split for the Truckers, and Patterson’s involvement codified the two songwriter’s assurance that the split had been amicable. Ahead of the July 13th “Deluxe Edition” reissue, two new songs have surfaced previously left off the record. Far from demos or audio castoffs, they capture Jason Isbell during his hungry beginnings, and fall right into line with songs like “In A Razor Town,” and “Dress Blues” recently covered by The Zac Brown Band as quality Jason Isbell output from his first album. “The Assassin” finds a killer contemplating his profession, with plenty of allusion to how we all view our efforts in life. It was originally written by Patterson Hood. “Whisper” is a breakup song, with Isbell begging for relief from judgement. 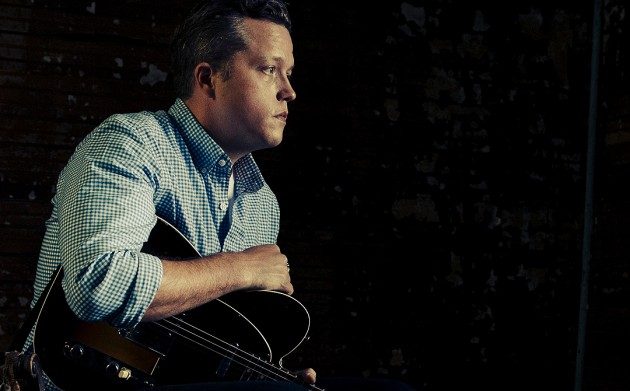 It wouldn’t be until Jason Isbell’s 2013 record Southeastern that a big national narrative behind his efforts was sparked, and his sobriety and songwriting would result in #1 album on Billboard’s Country Albums chart and four Gammy Awards. But those true Isbell devotees know, his early output gives up nothing to his later records. Any idea if Jason has any say in this reissue and the release of the previously unreleased tracks, or is this New West acting on its own to cash in on Isbell’s surge in popularity? Just curious. I have not seen Jason Isbell remark or address the reissue as of yet. But I don’t get the sense it’s something he would have some major problem with. We’ll just have to see. He did have a problem with his Record Store Day release this year, but that was a different situation. And by the way, many Record Store Day releases are often against the will or unwelcomed from the artists, despite being sold as the public as supporting independent music. This reissue is being released when Isbell has no new projects to compete with, and he’ll make a boost of cash off a previously-released record. Cashing in on Jason Isbell’s success doesn’t necessarily mean it’s a bad thing. Better than reissuing it at some low point when nobody cares. Can you elaborate on the record store day thing? I thought i remembered him being supportive of that. It was an album called “Live at Twist & Shout 11.16.07” that Isbell said wasn’t very good, and didn’t want to be sold. I’m now seeing it was also released by New West, so maybe he won’t be too happy about this new “Deluxe Edition.” We’ll just have to see. A few years ago I said my peace about Record Store Day. I appreciate everyone wants to support local record stores and independent artists, but many of the releases are ragtag castoffs repackaged by previous labels, and sometimes unauthorized by the artist. It was quite an unpopular opinion to take so I don’t harp on it, but the Isbell story is an excellent example of why Record Store Day isn’t all they try to sell it as. The sound produced “when he shifts his posture on a leather seat” are better than what’s on “country” radio. “The Assassin” is a Patterson Hood song that Isbell performed live early in his career — in one recording of such a performance he says that Patterson basically told him he could have the song. There are live versions of “Whisper” available on YouTube, as well, although there are no studio versions that I’ve heard. This is no doubt a New West effort to cash in on Isbell’s success — I’m sure Isbell has no involvement other than collecting royalties. I’m still hoping one day he will release studio versions of “Crystal Clear,” “Superman’s a Damn Fool on the Wall,” “Merciless” and “Smoke and Cinders.” I have varying-quality versions of all of them, but not proper ones. So New West will get my money. Even though I’ve never heard Patterson sing this song, I can clearly hear his voice come through in Jason’s performance. It’s particularly noticeable in the chorus. The studio version of Whisper was a bonus track on the ITunes version but no longer available. I always thought it was part of the proper album and didn’t figure it out until I purchased the vinyl a few years back and it wasn’t included which was disappointing since it was a strong track. Can totally understand why Jason may have chosen to leave it off though. As for the last three songs you mentioned I haven’t heard those and will have to hunt them down. Thanks. Here you go! This guy found and uploaded a demo CD with a bunch of unreleased songs, and early versions of old ones. Haven’t heard of “Superman” so I’ll have to seek that out, but I wholeheartedly agree about “Smoke and Cinders.” It’s on YouTube and I’m sure we’ll never get another studio version, but man I would love that. Terrific song. I am really happy that he got his life in order and he deserves all the success he’s getting, but there is a small part of me that misses the style of his old material and any of it that sees the light of day is going to get thumbs up and money from me. Meant to be a reply to Chad. I blew it. Interesting, I had no idea he was re-releasing this album. Last time I saw him in concert (about a month ago) he played Dress Blue, which really surprised me since that song has been off the setlist for years. I wonder this re-release was the reason why he brought it out again. Is the release date of this July 17th or July 27th? July 17th is a Tuesday instead of the typical Friday which would be July 27th. The released date is July 13th. Just confirmed. I don’t understand why you would cover this and not the five new songs that were on Streets of Aberdeen. Oil and Opium is one of the best Hellbound Glory songs to date. I love Isbell. I just hope you aren’t skipping Hellbound Glory because of your hatred of Shooter. First off, composing an album review takes hours. Writing a news story like this takes 20 minutes. I didn’t choose to cover one and not the other like it was a binary choice. This is a common misconception. Second, as I have stated before, reviewing the same songs twice is possibly the most difficult task I’m ever asked to perform. I understand there is new material on “Streets of Aberdeen” too, but that doesn’t make it any easier. I have definitely not ruled out covering the record, and I commonly go back and cover releases months after when holes in the new release cycle allow it. Third, there is no hatred for Shooter. If I hated Shooter I would have not highlighted his upcoming record in my recent “Most Anticipated” post (https://www.savingcountrymusic.com/most-anticipated-albums-rumors-for-the-2nd-half-of-2018/), nor would I have given his set at Mile 0 Fest in February a positive review, let alone ignore a band I’ve been covering since 2010 just because they released a record on Shooter’s label. I gave a glowing review of Brandi Carlile new record that Shooter produced. People need to get over this stupid myth of a Shooter bias. Move on. I have, and from what I understand, so has Shooter. It’s all about the music. Love this album. Looking forward to the reissue with the additional songs. I also think his 2nd album “Jason Isbell and The 400 Unit” is excellent. He doesn’t play too many songs from it when I’ve seen live a few times, but for those looking to dig a little deeper into his catalog, it’s a great album. I’ve never listened to this album. I actually didn’t even know it existed. I always though Jason Isbell and the 400 Unit was his first album post Drive By Truckers. So I’ll have to check this out. I really want to love this guy. And best i can tell, his best stuff is off the charts great. But i just don’t get him, in general. I’m glad folks love him, cause he clearly is a real thing. But i just don’t think i’m gonna get there. The Assassin is right in line with HBO’s Barry with Bill Hader. Like its exact premise. The timing ended up being VERY close to when Jason was planning to release the Ryman album, so I wouldn’t be surprised if they’re a little frustrated at this point, if not angry.